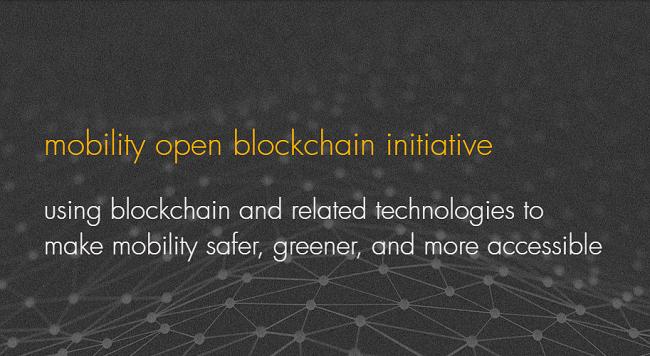 Evernym, a blockchain startup focused on digital identity, has announced that it is joining the Mobility Open Blockchain Initiative (MOBI). Launched earlier this year, MOBI is a blockchain consortium that aims to make transportation safer, more affordable, and more widely accessible. Founding members include automotive giants BMW, Ford, General Motors, Groupe Renault and others, as well as a number of tech companies and startups including Accenture, BIM, ConsenSys, Hyperledger, and many others. “We view MOBI as an important catalyst for innovation. It’s a forum that brings the automotive industry together to explore blockchain and distributed ledger technology,” said Nick Ris, VP Business Development Americas for Evernym. Founded in 2013, Evernym is the creator of Sovrin, a platform for every person, organization, or IoT device to have “self-sovereign identity” (SSI) which enables them to control their own identity data (often provided by trusted institutions) on their individual devices. In its official release, Evernym explained that cars, like people, have a digital identity problem. It added, “Cars that connect online will soon need to assert their own identities and be able to verify people’s identities in ways unthinkable just a few years ago.” With the internet of things (IoT), the issue becomes a global one spanning various areas from smart TVs to pacemakers to vacuums and thermostats and beyond. “We see big potential for things to strongly prove identity along the manufacturing supply chain and entire life cycle, as well as validate users’ identity while in use,” Ris said, adding that Evernym can improve the experience of ownership for many connected objects and even allow for complex use cases, like car sharing. “There are already more connected devices, including cars, than human beings and the ratio is getting more skewed. As one of the leaders in the self-sovereign Identity space and inventor of the Sovrin network, we welcome Evernym to MOBI and look forward to their participation on the identity topic. We share a common goal to get identity right,” Chris Ballinger, CEO and co-founder of MOBI said.